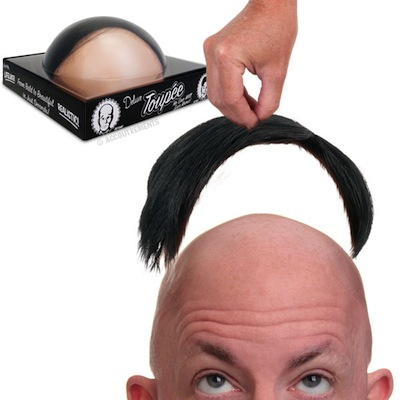 This realistic, synthetic hair toupee will take you from bald to beautiful in seconds! Almost immediately after covering your bald spot women will start flocking to you like pigeons to a bum with breadcrumbs. Not recommended for windy days or roller coaster rides. Includes self-adhesive tape to prevent slippage.